Today I have the honor to give you an interview with a crazy, but very nice guy, who was known as ´Pretty´ Jimmy Dream for some years. In the year of 2016, he became a member of World Wrestling Entertainment, where he feuded with AJ Styles and Asuka, but also had some differences with Dean Ambrose. Last but not least, he was a loyal partner for Carmella. 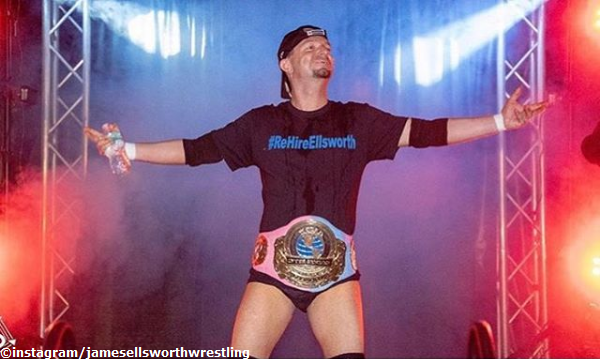 But what does James Ellsworth during his free time? Yeah right, he´s playing video games! Here´s an interview with James, please enjoy! Gordman: Hey dear James, thanks for taking your precious time for this interview! Let´s start with your childhood: What was your first console and the first game/s you´ve played? Gordman: What´s your coolest memories when it comes to multiplayer games? Are there any special games you´ve played with your family and friends for hours? James: NBA Jam with my friends, fun times! Gordman: Which games are your all-time favourites and why? James: Sonic games for sega, still play them to this day! Just so much fun. Gordman: I´ve noticed a picture of some N64 wrestling games over at Instagram, as well as a picture of Fire Pro Wrestling where AJ Styles receives your No Chin Music. 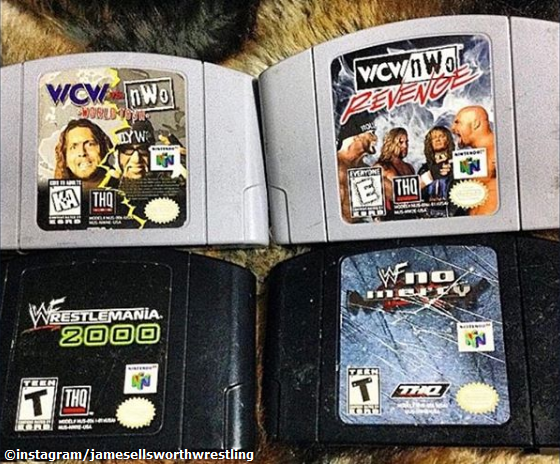 So, obviously: What´s your favourite wrestling game? James: No mercy, I know that’s everyone’s answer but it was the coolest wrestling game ever easy! Gordman: Which consoles and how many games do you have today? Gordman: Are your kids playing some video games as well? James: They’re real into Donkey Kong at the moment. Gordman: James, thank you very much. I wish you all the best in the future!